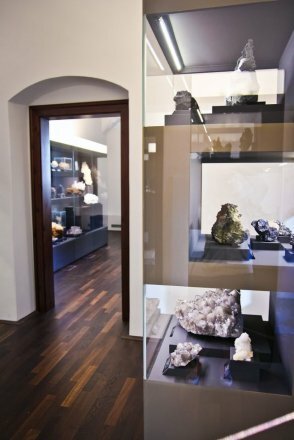 The historical building directly beside Freudenstein Castle with its terra mineralia exhibition, is 500 years old and is hereby one of the most important buildings in Freiberg. It has an eventful history: It goes back to the time of Duke Henry the pious. His housemaster, Rudolf von Bünau, acquired the property in 1510. 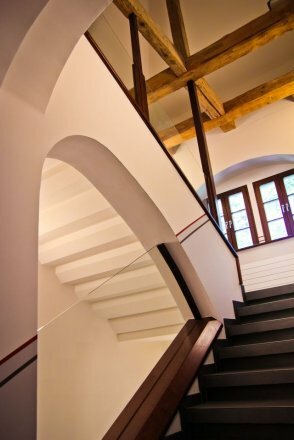 Later it was in the possession of the von Schönberg family for over 150 years, until the Wettiner family bought it in the 17th century. Up to the late 1990s it was used as a service and residential house. 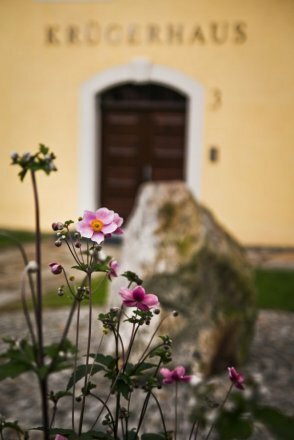 Dr. Peter Krüger, a native Freiberger, bought the building with a view to renovate it according to monument specifications, and giving it a new lease on life as a public exhibition and events house. 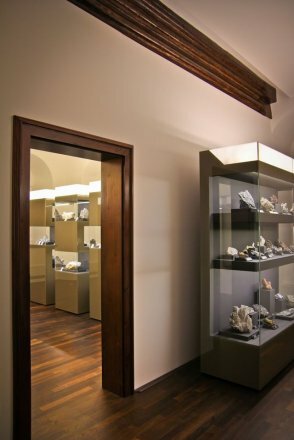 It is thanks to the great commitment of his wife Erika Krüger, after the unexpected death of Dr. Peter Krüger in 2007, that the KRÜGERHAUS was completely renovated with funds from the Dr. Erich Krüger Foundation and from the public, and was made into a treasure box for the exhibition of minerals from Germany. Fluorite is a great mineral, because it is found all over the world. It comes in every colour imaginable, although it is made up of only two elements, namely calcium and fluorite. In the past, miners also used the name fluorspar for fluorite because, used as flux, it reduces the smelting temperature in the blast furnaces used to extract minerals from ore. This conserves heating material. Today, fluorite is also used for lenses in the optics industry. On the viewing platform of the exhibition, you can have a look at one of these lenses. 10 x 12.5 cm; Photo: Jörg Wittig, Dresden.